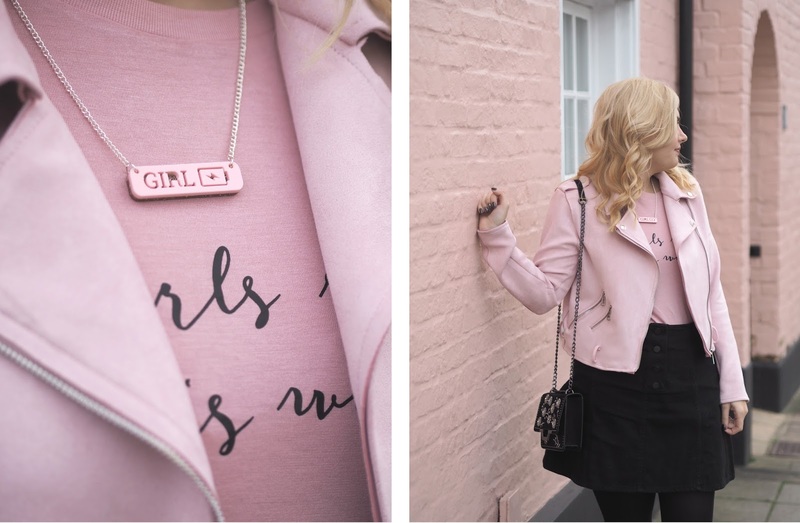 It's no secret that I love the colour pink so when I was kindly gifted this beautifully handmade 'Girl Power' necklace from Just Daydreaming I decided to put together a full on pink look! Just Daydreaming is a jewellery brand designed by Claire who runs The Fairytale Fair that I first went to back in March (see blog post here). She hand makes & designs all the pieces herself in Brighton, Sussex and can buy all of her creations from both Justdaydreaming.com and her Etsy Shop. 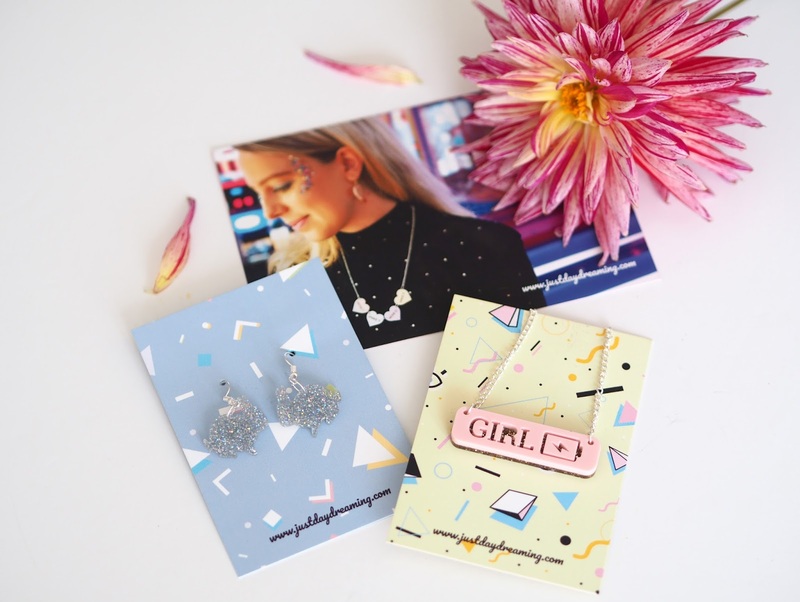 She's recently created a fabulous 90's Nostalgia Collection which features some of the cutest pieces that'll have you reminiscing of that era! In my case this is my childhood and I particularly love the Spice Girls & Oasis inspired items, literally giving me all the 90's throwback vibes. 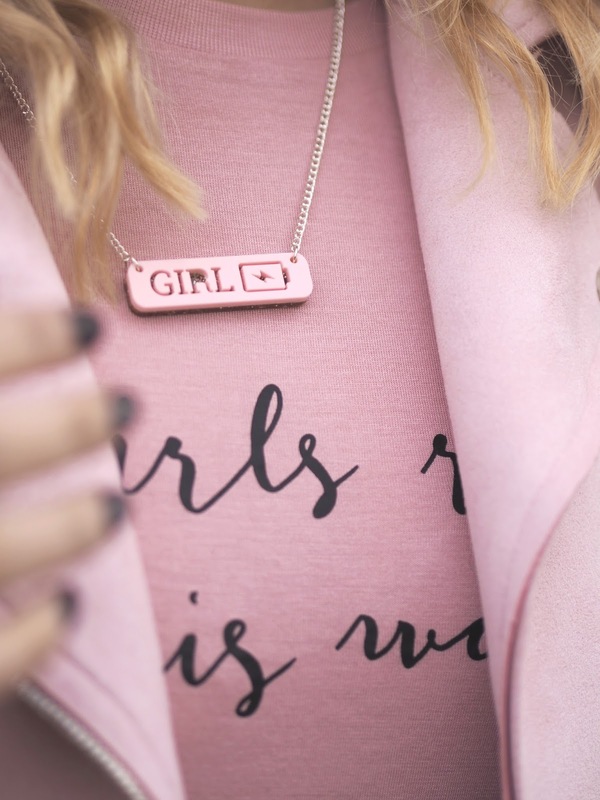 I received a pink Girl Power Necklace which is laser cut and double layered with baby pink and glittery gold. I love how 'power' is a battery sign too! I also got the cutest Glittery Bunny Earrings to pair with it. Alongside my Girl Power Necklace you can buy this coloured heart necklace saying 'Swing it, Shake it, Move it, Make it' which is just fabulous!! All of these pieces would make the most perfect gift for a loved one this Christmas, your best friend or sister perhaps! I'm really passionate about supporting small, local businesses whenever possible and I love getting to know the people behind the business and finding out their stories. I think by shopping small this Christmas you're not only supporting individual crafters but you're adding more unique and personal touch to your gifting. Be sure to get your orders in soon as online orders will finish around 10th Dec for International or 18th Dec for the UK. 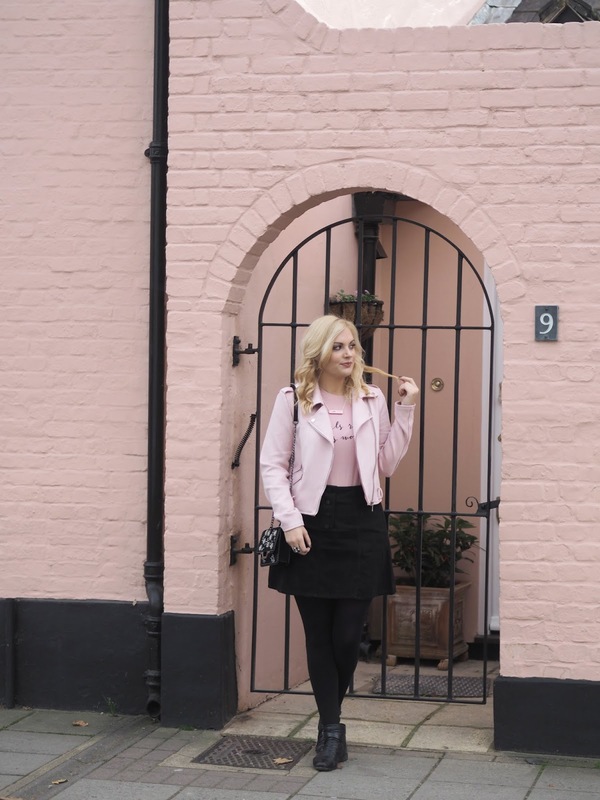 As soon as I started styling up this particular outfit I knew I had to shoot it outside this perfect pink house in Chichester as it just matches like a dream!! Oh yes, it's little things like this that make me happy. I found the T-Shirt in H&M and immediately thought it would be the most perfect pairing for my new Girl Power Necklace. "Girls Rule This World" - ummm yah-huh?!! I added a black denim skirt & this Boohoo jacket which is made of THE softest faux suede material ever! I wish you guys could just reach through the screen and feel it. 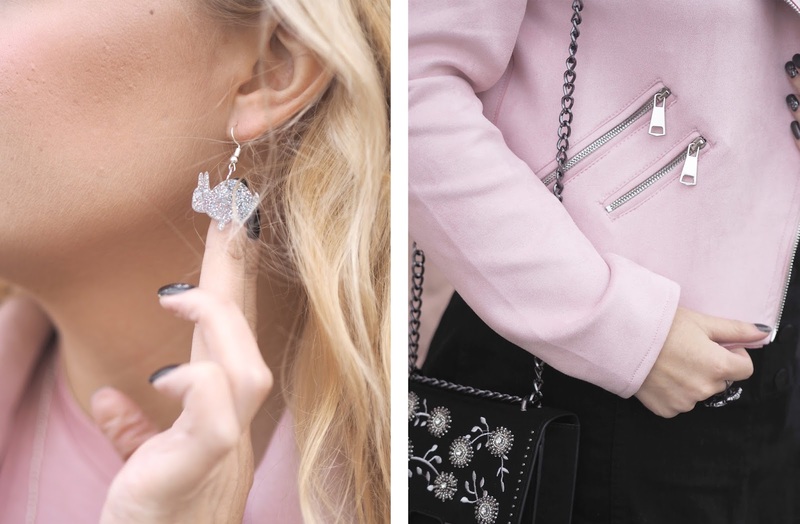 Outfit Details: Pink Tee | Girl Power Necklace c/o Just Daydreaming | Glitter Bunny Earrings c/o Just Daydreaming | Black Denim Skirt (similar) | Pink Faux Suede Jacket (similar) | Ankle Boots | Bag (similar) | Rings. Have you started your Christmas shopping yet and have you thought to buy something handmade from Etsy?! Just found your blog, love it! This post was amazing.